Rachael Riggs will be representing Tourism Vancouver at Experient Envision in Cleveland from March 15-17. As many people already know, Vancouver is located in one of the most beautiful places on earth, and this setting inspires us every day to share the essence of our destination with our global clients. 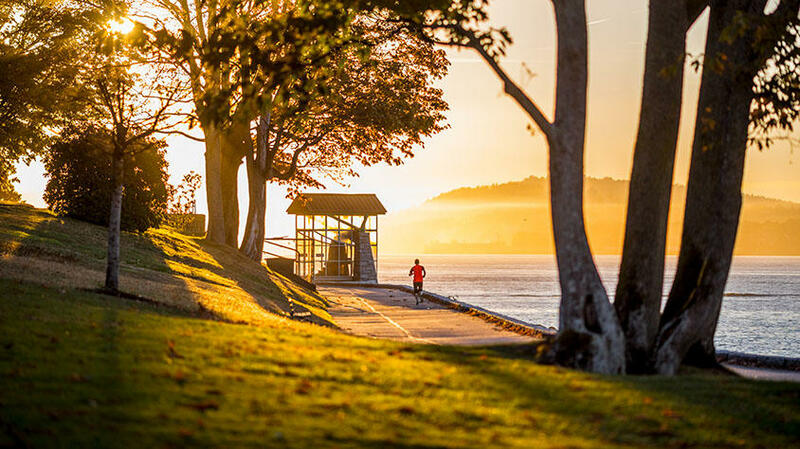 As an Envision sponsor, our goal is to share Vancouver’s healthy lifestyle with attendees and to encourage them to think about bringing healthy practices into their lives both personally and professionally. Vancouver will be helping Envision attendees practice a “healthy mind, healthy body and healthy life” attitude during 3 networking breaks: Wednesday, March 15th 3:00pm – 3:30pm; Thursday, March 16th 2:15pm – 2:45pm and Friday, March 17th 9:15am – 9:45am. Healthy Mind – We want you to zen out and relax during your breaks! You will have the opportunity to try out a few different Saje products, such as their Stress Release Soothing Face and Body Mist, Energy Revitalizing Face, and Body Mist and Namaste Uplifting Mist. Saje is a Vancouver-based company whose goal is to “help you feel better, naturally” with essential oil and mist therapy. Healthy Body – Fueling your body at meetings with the right foods is so important. Therefore, after you have relaxed in the lounge, enjoy a healthy snack that will give you the energy to make it through the day. Healthy Life - Vancouver believes that face-to-face events can change the world and know that today’s meeting professionals are taking that one step further by including corporate social responsibility activities into their meetings. Therefore, we are proud to bring the #VanGiving program to Envision 2017 by supporting the Giving Back opportunity with Providence House. For every attendee that supports this program during the conference, Vancouver will make a donation to the Providence House in Experient’s honour. Click here to find out how you can get involved during Envision 2017. We hope that by incorporating these practices into Experient Envision, we can show you how easy it is to do with your own meetings. Our goal is to inspire you to think differently when you plan your next meeting. Finally, Rachael Riggs will also be speaking during the Sponsor Showcase on Friday, March 17 from 10:05am-10:20am. We will discuss how to incorporate CSR and healthy practices into your next meeting, what is new in Vancouver, and provide you with an opportunity to experience Vancouver during the upcoming Wellness Fam. Prizes from lululemonathletica and Saje (both based in Vancouver) will be given away. Make sure you connect with us on twitter (@MeetVancouver) to find out how to incorporate health, wellness and CSR into your next meeting.